The biggest casualty of the 2019 electioneering is the WIFM (What’s in it for me?) factor for India’s Everyman. Speech after speech, rally after rally, the posturing of the political leaders, in whom are invested the hopes of the millions, is distinguished by a spectacular lack of emphasis on the burning issues of the electorate. In fact, listening to the election speeches underway, an outsider might get the impression that India is singularly lacking in problems. The only problem it seems is that political leaders cannot get to like each other. They look like problems, don’t they? Sure, some of these issues are getting lip service from the politicians but what is all their passion, vigour and innovativeness really reserved for? To take pot shots at each other. Sample this: During his speech in Siliguri in West Bengal, where he launched his West Bengal chapter of the election campaign, Prime Minister Narendra Modi called Mamata Banerjee, the chief minister of the state, a “speed breaker” (for development). He promised to bring development to the state if this ’speed breaker’ were to be absent. The irony of this cannot be lost on Indian voters as they experience deja vu vis-a-vis the development promises made by the Bharatiya Janata Party in their 2014 election campaigns. Did Mamata then decide to let such broadsides be and focus on what she would do for her people for the next five years? 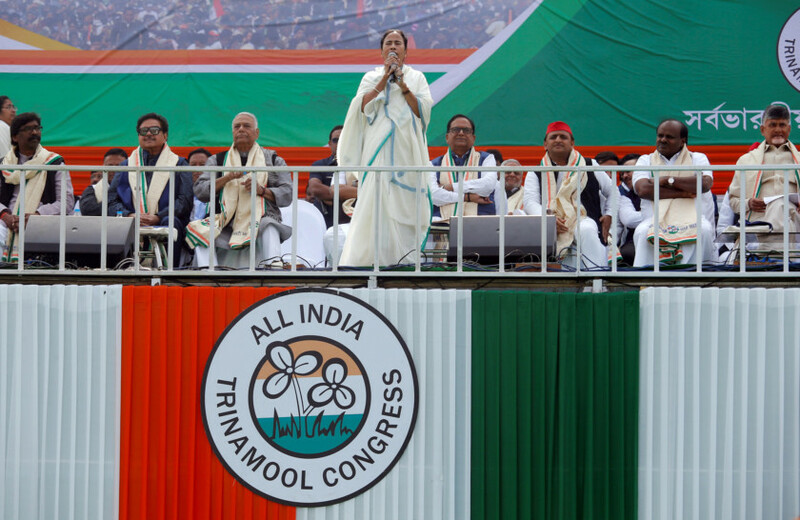 Her rejoinder, as she addressed an audience at Cooch Behar in West Bengal as part of her campaigning was to call Modi an ‘expiry babu” (someone’s who’s time is up). In February this year, the Congress Party President Rahul Gandhi did a stand-up act on the changing ways of Modi’s speech delivery, from 2014 to now. To demonstrate his point, he physically stooped just in case the crowds did not get the point referring to how Modi, according to him, has lost his upright stance. In September, at a press conference, the chief minister of the Telangana State, K. Chandrashekhar Rao (KCR), called Rahul Gandhi, the “biggest buffoon in the country”. And on April 3, in Pasighat in East Siang district of Arunachal Pardesh, Modi in his campaign speech predicted that the Congress 2019 election manifesto will ...”expire on May 23”. If anyone needs classroom lessons in the pursuit of the needless in the season of the imperative, these episodes serve as excellent examples. They are a startling testimony to the truancy of political leaders to tackle the burning issues and thus ease the existentialist strain on the hopeful voter. These unending rallies between political leaders, with their obsessive need to lash out at one another, has reached stratospheric levels in Indian politics and the years and months in the interval of 2014 to 2019 have been replete with jeers, vitriol, undignified remarks and downright insults. Of course, opponent bashing is endemic to politics, but when it happens at the expense of the voters’ aspirations and needs, and national priorities, it is a travesty of political will and ethics. Where does all this leave the Indian voter? What are they really listening to when they turn up at an election rally? When was the last time a politician addressed them with truth in their voice and conviction in their heart and told them what what they wanted to hear? When will the Indian voter get - instead of the litany of pot shots, ad nauseum demonstrations of mimicry and contrived acronyms - more job creation, communal harmony (Indian is a secular country, in case this fact is lost in the heat and dust of agenda chasing), a cleaner environment, improved healthcare, upgraded primary and secondary education system for millions of rural children, improved urban infrastructures, real-time women’s welfare and security and on-ground development to the last mile in the village? And when will a political leader show the Indian voter the path to realising their full potential? Because down that path lies India’s true development. Has Rahul Gandhi finally come of age? It was the day that national election results were being announced in India in March 2014. The Bharatiya Janata Party (BJP) had stormed to power with a record 282 seats in the lower house of the Indian parliament. No other party or coalition had even managed to reach three figures. The outgoing Congress party had notched up 44 seats – its worst ever performance in federal elections. And announcing the party’s results in the Indian capital was Sonia Gandhi, then party president. She was flanked by Rahul Gandhi – both mother and son were widely blamed for the Congress party’s disastrous and lackluster campaign that preceded the 2014 elections. All that Reluctant Rahul could manage in the aftermath of the debacle was a sheepish smile. Cut to 2019, and the ever-haunting question comes back: Has Rahul and his politics come of age? And it does look very different this time around. Soft, swift and smart is how Rahul has aimed to reinvent himself. Peddling a carefully manouvred line on soft Hindutva – the temple visits in Gujarat, near silence or equivocation on issues such as Sabarimala. Swift retorts to the volley of personal attacks and jibes that have now come to characterise Indian politics. 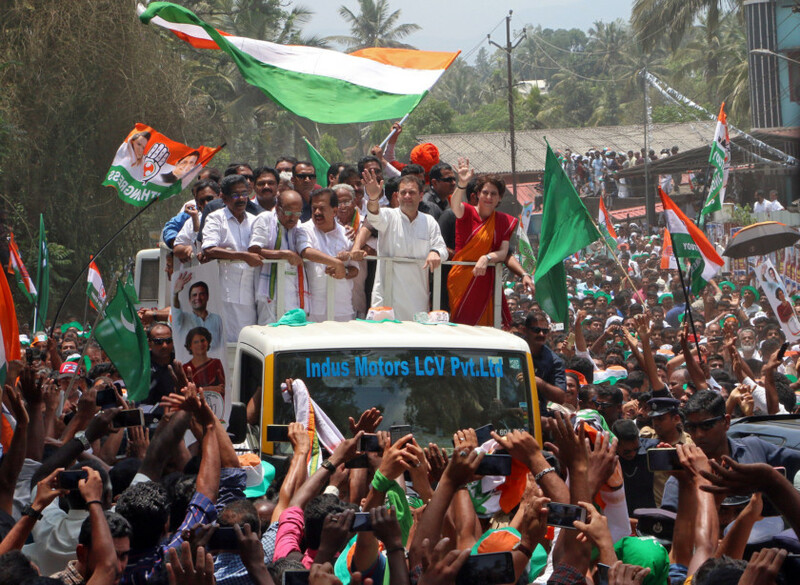 Swift decisions on making the most of political situations – think how a coalition was quickly stitched together in the south Indian state of Karnataka; the party’s vigorous campaign in Gujarat. And smart strategies to counter the narrative of hatred – think Wayanad, glimpses of a shadow cabinet, white paper on national security, a manifesto full of goodies for the electorate. There have also been major departures from the typical Congress arrogance of straying far from the commoner – a byproduct of the fact that Rahul’s father, Rajiv Gandhi; his grandmother Indira Gandhi; and his great-grandfather Jawaharlal Nehru have governed India as prime ministers for a combined total of 38 years. A warm interaction between Rahul and a crowd of Indian expats in the UAE earlier this year was a stark reminder of how things have changed. This is certainly not the same Rahul Gandhi who fumbled his way through a TV interview and faltered when faced with aggressive challenges by political opponents. But for every success in Karnataka, Gujarat and the show of a Grand Alliance, there’s also the disappointments in Uttar Pradesh, Maharashtra and Delhi. Much of the lustre of the Grand Alliance has faded in part due to Congress procrastination and the recalcitrance of regional parties. And even Rahul seems to have chosen to fight the electoral battle on the terms set by the BJP – rather than being outspoken about Islamophobia and divisive politics. Many of the questions raised by the grandiose promises of minimum income or the Congress manifesto are yet to be answered. The jury is therefore out on whether Rahul has decisively managed to outthink and outspeak the right-wing campaign this time around. His new-found acerbic wit and retorts have often flummoxed Modi. But will it be enough for the ballot boxes? May 23 holds the answer. Is Prime Minister Modi nervous? Dubai: Prime Minister Narendra Modi in a campaign mode today is no different from the Modi of 2014 when he was aggressively attacking political rivals. Riding a popularity wave, he capitalised on public perception against the Congress government. At that time, he made a strong pitch why Indians should choose him and his party to run the government and people gave him a huge mandate. Today, he is seeking a re-election by cross-crossing the country and aggressively attacking Congress and other parties. But he knows that 2014 is not 2019, his popularity has taken a hit and his rival Congress party has managed to regain public trust to an extent in the last five years. Not surprisingly, Modi’s speeches betray a sense of nervousness and desperation. Two days ago in Bihar, for example, he said: “I don’t claim to have finished all the work. When they (Congress) cannot say so in 70 years, how can I make that claim in just five years? A lot has to be done, have potential to do a lot, and for this, there is a need for constant efforts. And for this, I also need your blessings”. The prime minister’s pleading tone at this election rally shows he understands public mood and public perception about his government’s performance or lack of it. On other occasions, instead of speaking about his own record, he has aggressively attacked Congress, a party he once dreamed of decimating, and its president Rahul Gandhi, a man Modi’s Bharatiya Janata Party dismissed as a political novice. 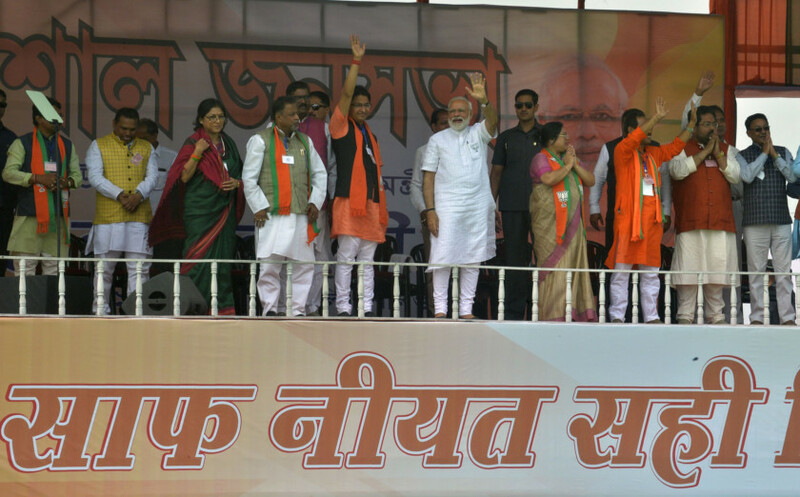 On April 1 in Maharashtra, Modi said Gandhi chose to fight from Wayanad in Kerala because the Hindus are in minority in that constituency, a deeply polarising statement even by Modi’s standards. In recent weeks, Modi and his party have lapped up every opportunity to take credit – from Indian Air Force’s strike in Pakistan to space missile test. His predecessors have avoided scoring brownie points over successes of armed forces but Modi made an unprecedented and controversial move to address the nation in election season to announce the missile test, another sign of desperation. When will voting be held: April 11, 18, 23, 29, May 6, 12 and 19. This general election will choose the 17th Lok Sabha. Voter numbers: Approximately 900 million.